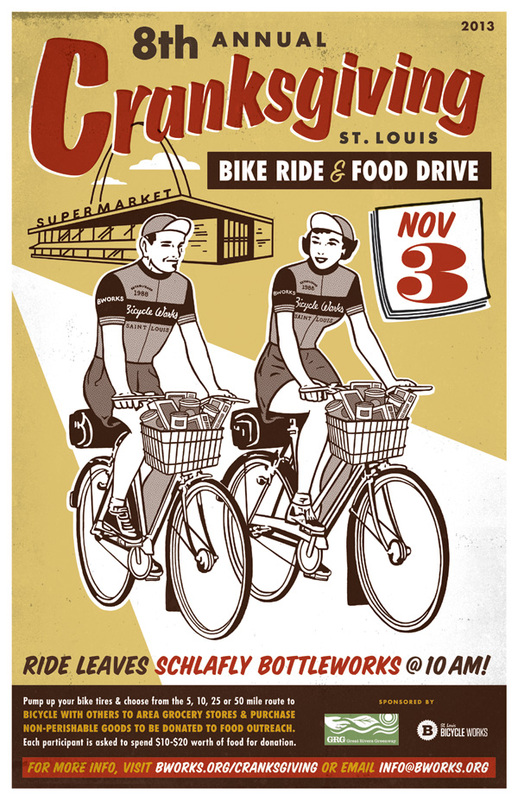 This past Sunday, TOKY team members gathered at Schlafly Bottleworks in Maplewood to support the 8th Annual Cranksgiving St. Louis, a bike and food drive that encourages riders to collect canned goods along the way. Cranksgiving riders chose between 5-, 10-, 25- or 50-mile rides to local grocery stores. Each participant was asked to spend $10-$20 on non-perishable food, with donated items going straight to our friends and Midtown Alley neighbors at Food Outreach. TOKY staff pitched in to donate, volunteer and ride, and the Cranksgiving poster was designed by our very own Jamie Banks-George. 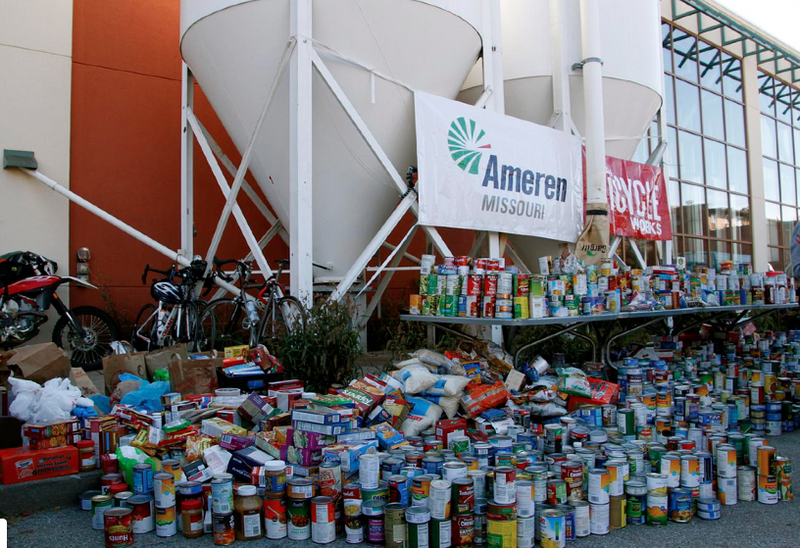 With over 800 riders and more than 8,000 cans collected, this year’s Cranksgiving was a huge success. Find more Cranksgiving images on the St. Louis Bicycle Works Facebook page, or check out this recap of the event from Fox 2 News.